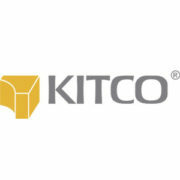 Kitco Metals is most known for their world-famous, award-winning website www.kitco.com, which attracts nearly a million visits every day with its compelling combination of an online precious metals store, live spot prices, expert market commentaries, up-to-the-minute news, and usable market information. Kitco Metals is also one of the world’s premier retailers of precious metals and a leading supplier of refining services. OcularAI is engaged with Kitco Metals to provide AI-based solutions for identifying patterns in their massive data sets that would help driving incremental growth in customer engagement.